Casual doesn't mean dressed-down. 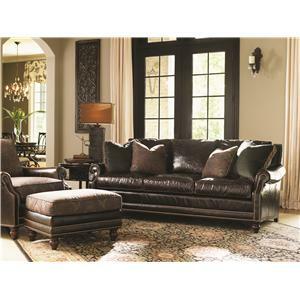 It means comfort that feels fabulous and makes your living room a welcoming place for you and your family. 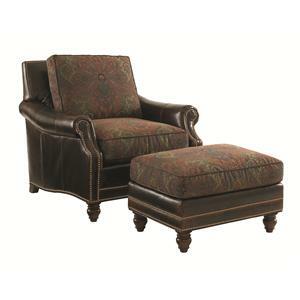 The Shoal Creek ottoman provides just that, the plush comfort and sophisticated, traditional look you desire. 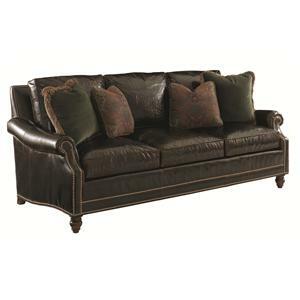 Just a splash of heirloom, classic design is conveyed through the use of elegantly shaped wood legs and nailhead studs. Our plush, Ultra Down seat cushion creates a soft and resilient leg rest for lounging. 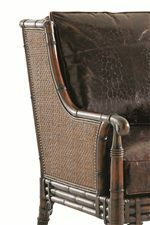 The Landara Shoal Creek Ottoman with Turned Legs and Nailhead Trim by Tommy Bahama Home at Hudson's Furniture in the Tampa, St Petersburg, Orlando, Ormond Beach & Sarasota Florida area. Product availability may vary. Contact us for the most current availability on this product. 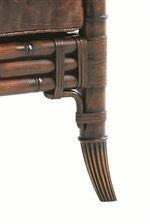 The Landara collection is a great option if you are looking for furniture in the Tampa, St Petersburg, Orlando, Ormond Beach & Sarasota Florida area.